I like to cut and paste: Love Some Stencils! 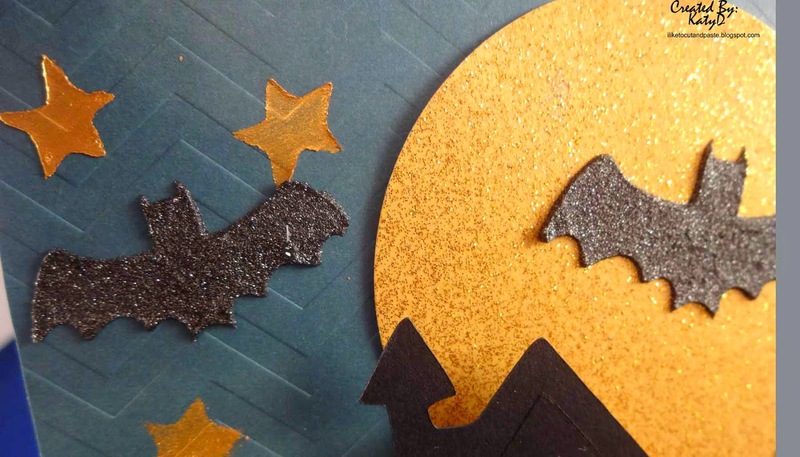 There is a new challenge at Scrap It Girl! 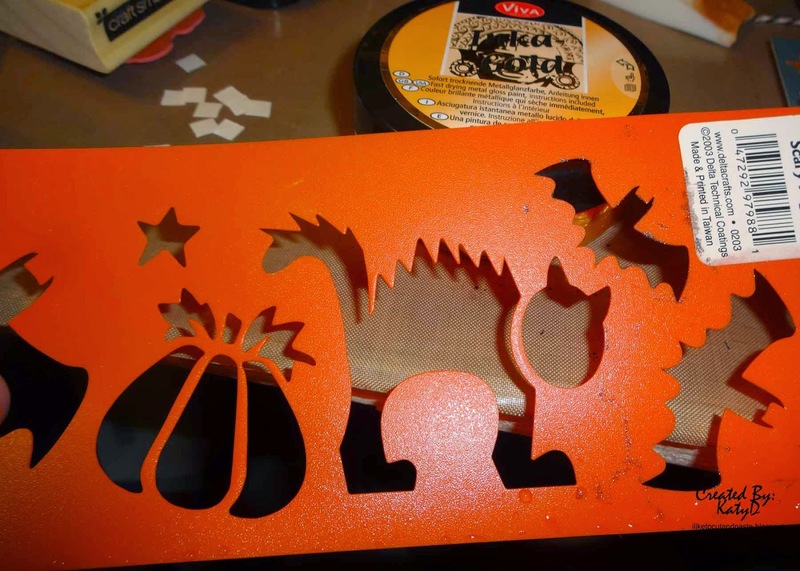 On your project use either or both-stencils or masks. 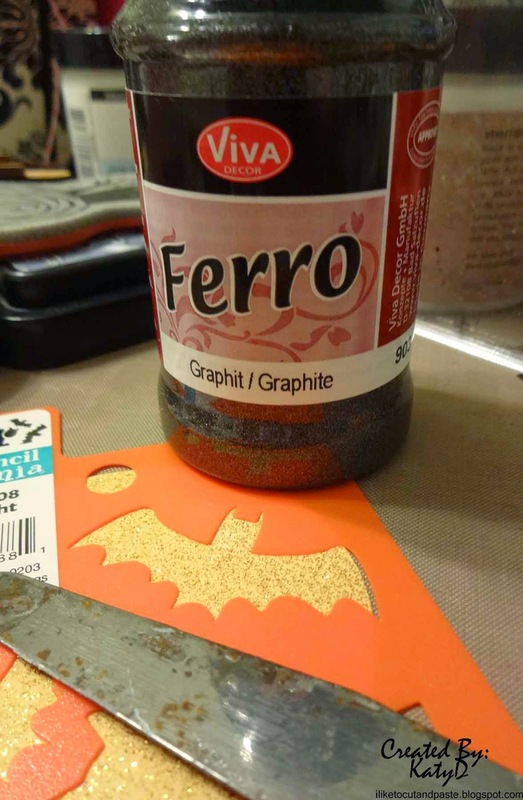 For the bats I used this awesome graphite paste by Viva. It is so cool! It glides on really nicely. Here you can see the shiny in the bats. So cool-shiny and it's a raised effect. I used Inka Gold for the stars. It's opaque-which is really awesome. I used a make up sponge to apply it. I can't wait to put it on some other projects. I bought this at Joann's. They have some other varieties of the graphite paste but not graphite specifically. I bought that at an art store. I took an angled picture to show the haunted house pop dotted. 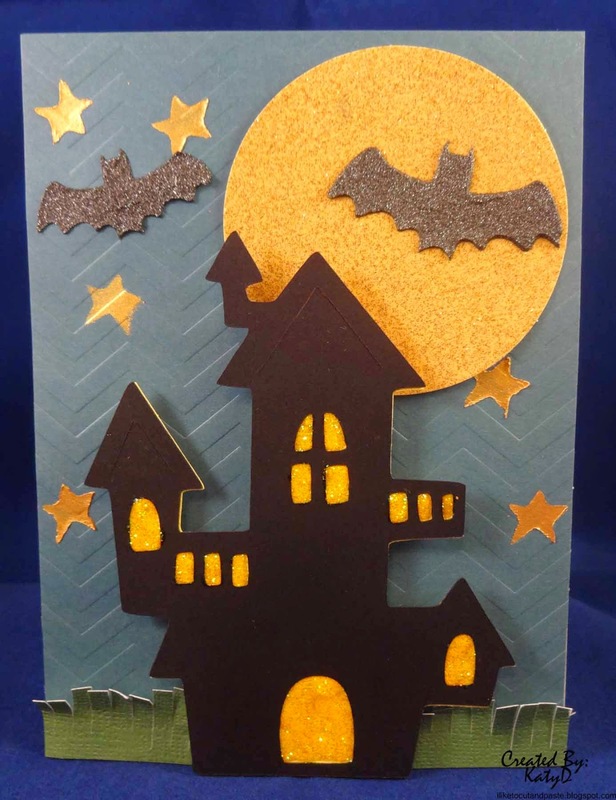 The haunted house came from my Cricut-Create a Critter 2. I love this cartridge. It has so many images besides cute smiling animals. LOL! And it came in handy because I could size how big I needed the house. I used yellow Stickles for the yellow areas. The background, grass, and moon paper is from DCWV. I would like to link this card up to the Anything Goes Challenge at Simon Says Stamp Wednesday Challenge. 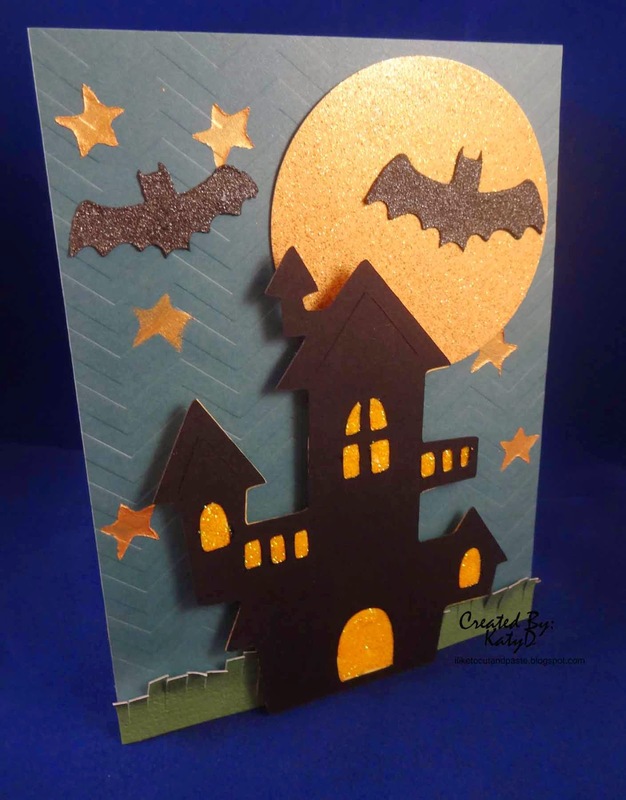 what a fun card.. i love Halloween cards.. This is soooooooooo fun! I love love love the house!!!! !